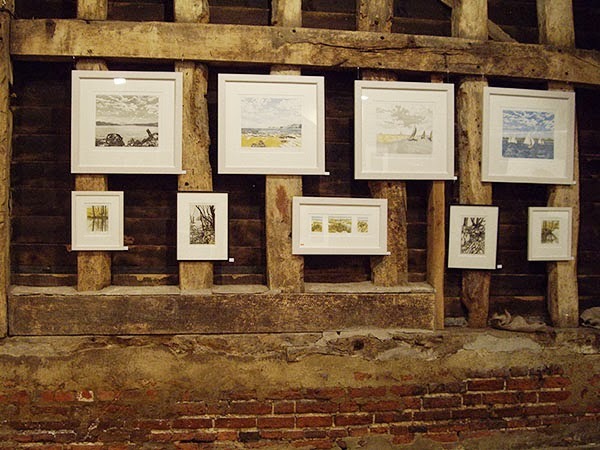 The last weekend of the ARTWORKS exhibition + more pictures – finishes Sunday! 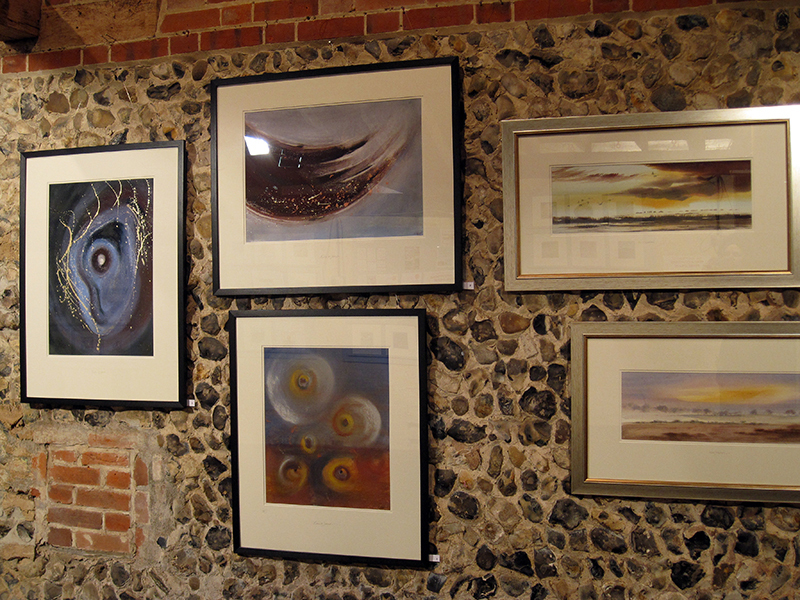 As promised, another taster our annual Artworks exhibition at Blackthorpe Barn in the heart of rural Suffolk. This is our last weekend, we are open Saturday & Sunday 10am to 5pm (full details below). 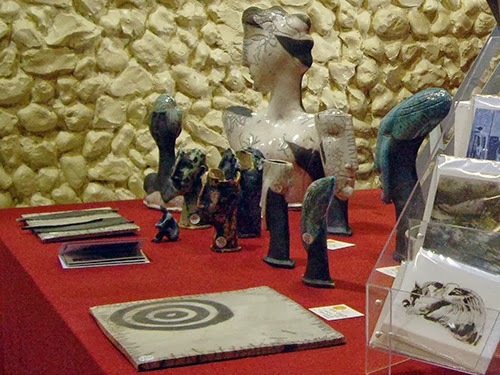 There is also the popular Artworks shop to visit, with many unframed and small artworks for sale, including paintings, drawings, original handcrafted prints (not gicleé reproductions), collage, metalwork, ceramics, glass, papier maché, a range of greetings cards (some handmade, unique) and artist postcards. The Artworks café is next door to the Artworks shop, making it a perfect setting to relax after viewing all the art on show. Find out more about the Artworks artists on our main website (or click on the links in the right-hand column). The Artworks exhibition is open daily from 10am to 5pm, admission is free, ample free parking, wheelchair accessible, free exhibition catalogue. Please note: The exhibition closes promptly at 5pm on Sunday 29 September 2013. Buyers of work can collect work from 3pm, so do arrive early if you wish to visit the exhibition on Sunday. This entry was posted in artworks news and tagged abstract art, alison jones, botanical paintings, eileen revett, helendufeu, jazz green, katie millard, linocuts, original prints, paintings, printmaking, rachel hutchins, woodcuts on September 27, 2013 by admin. A quick gallery visit to the ARTWORKS shop, take a browse! 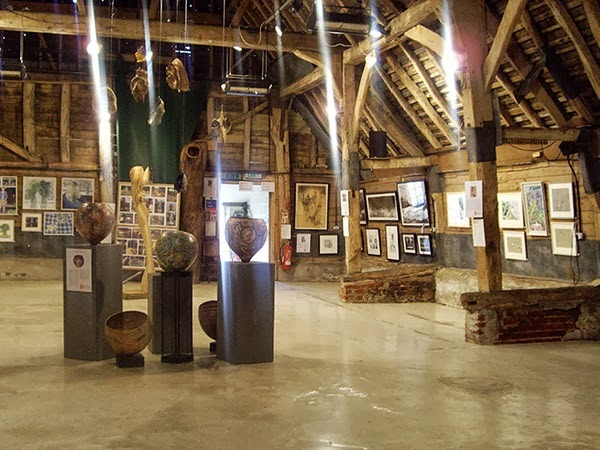 Here at the Artworks blog we thought we would share a few pictures of our Artworks shop at Blackthorpe Barn (further details of the main Artworks exhibition are below). 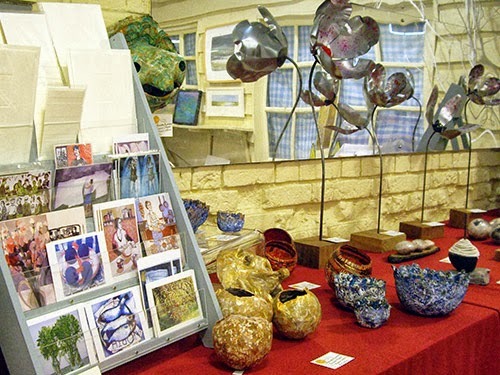 The Artworks shop is always popular with visitors, offering up small delights & serendipitous finds, often artwork direct from the studios of Artworks artists and not previously exhibited. The Artworks shop stocks small paintings, unframed prints and drawings, collage, sculptural artworks including ceramics, metalwork, glass and papier maché, together with a wonderful variety of handmade artist cards, greetings cards and artist postcards. 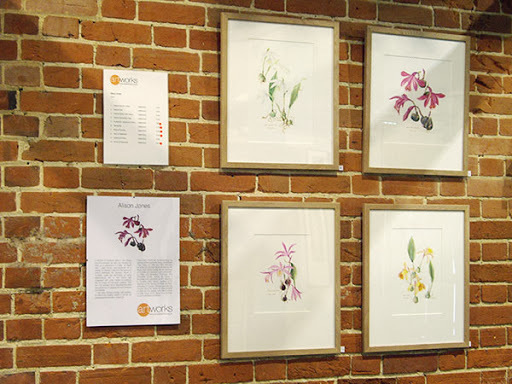 Read more about setting up and managing the Artworks shop from Gillian Crossley-Holland, a founder artist member of Artworks. Most Artworks artists exhibiting in the main Artworks exhibition also have a small selection of their work in the Artworks shop. 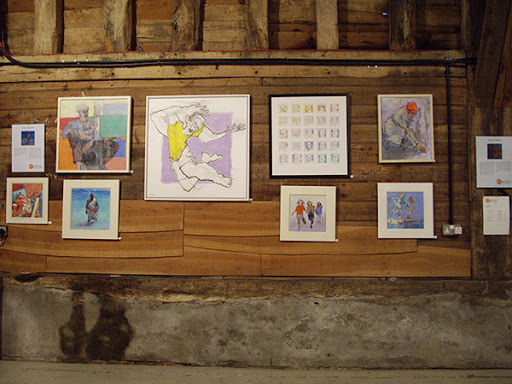 Artists who are taking a sabbatical year out also contribute artwork to the Artworks shop. You will find all styles and genres of art on display, from abstract to figurative, with all work in the shop available to be purchased and taken away on the same day of purchase. 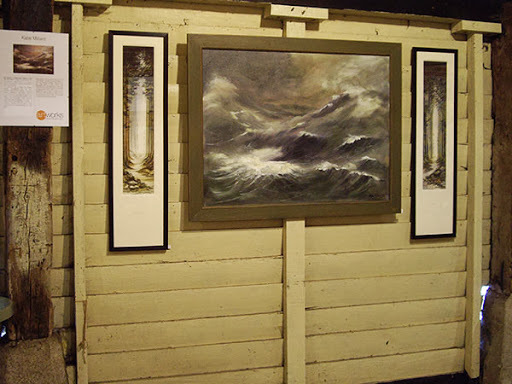 It is rather like an organised artist’s open studio set-up, comprised of many artists work on display. We accept cash and debit card payments on all purchases. Together with the Artworks Café, the Artworks shop provides a most relaxing & informal atmosphere to browse all things art, from postcards (all at 50p!) to original paintings, handcrafted prints and small affordable sculptures. The Artworks exhibition is open daily 10am to 5pm, from 7th – 29th September 2013. You can read more about all the Artworks artists here (or see the left sidebar for direct links to individual artists). The Artworks exhibition is open daily 10am to 5pm, free exhibition catalogue, free admission, ample free parking, wheelchair accessible. There is also our Artworks café selling light refreshments. 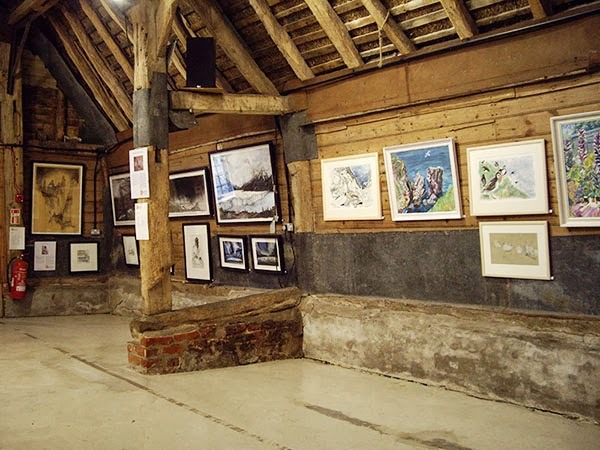 We look forward to welcoming you to Artworks 2013 at Blackthorpe Barn. This entry was posted in artworks news and tagged abstract art, art gallery, artworks shop, east anglia, figurative, gillian crossley-holland, original prints, paintings, sculpture, suffolk on September 22, 2013 by admin. 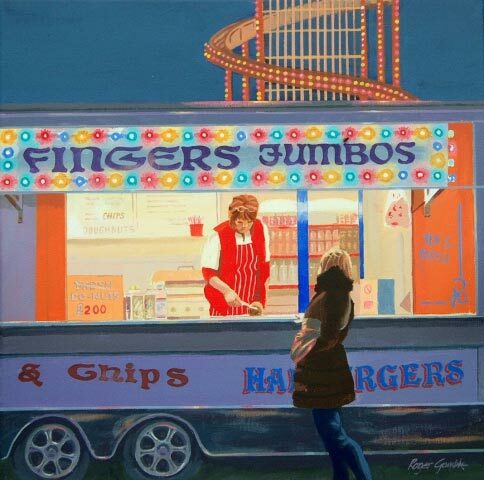 Today, Sunday 22 September 2013, Artworks artist Roger Gamble will be demonstrating painting with acrylics in the Artworks exhibition. Roger says: I am mostly drawn to images of people. People in commonplace, even mundane, situations; frequently urban and perhaps with an added element, such as an unorthodox viewpoint or a touch of irony. Roger will be painting in the demonstration area of the Artworks exhibition today, sharing his enthusiasm for painting in acrylics, from 10.15 am – 4.30 pm. Read more about Roger Gamble‘s work. Stay tuned to the Artworks blog for daily Artworks exhibition news and updates, as a different artist will be demonstrating in the Artworks exhibition every day. 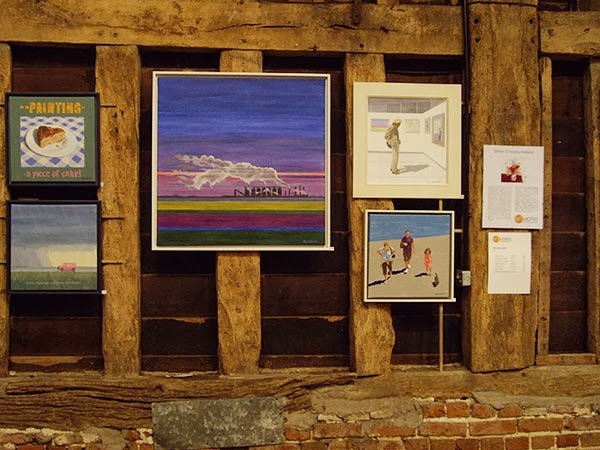 The Artworks annual exhibition is a wonderful opportunity to see and buy new and original contemporary work by some of East Anglia’s most inspired and creative artists. Read more about the Artworks artists. 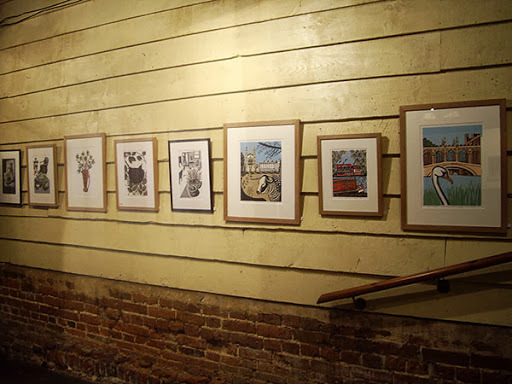 We also have a shop selling artists’ limited edition prints, unframed work, greetings cards and postcards. There is also a café selling light refreshments. We hope you will enjoy your visit to Artworks! This entry was posted in artworks news and tagged artworks, demonstrations, figurative, paintings, roger gamble on September 22, 2013 by admin. 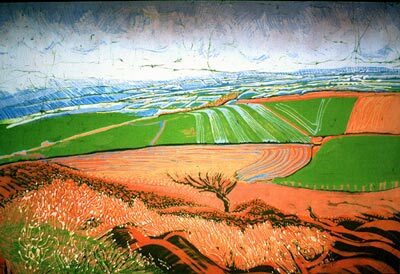 Today, Saturday 21 September 2013, Artworks artist Janet French will be demonstrating printmaking and creative papermaking in the Artworks exhibition. Janet French says of her recent work, which is in the Artworks exhibition: I have been exploring the spiritual impact of the effect of light seen through trees. The images are produced using a variety of printmaking methods and are printed onto papers I have created using the leaves and fibres of local woodland species, for example beech, nettle and oak. See Janet French in the gallery today, from 10.15 am – 4.30 pm. This entry was posted in artworks news and tagged artworks, demonstrations, etchings, exhibition, handmade paper, janet french, landscapes, original prints, printmaker, printmaking, trees on September 21, 2013 by admin. 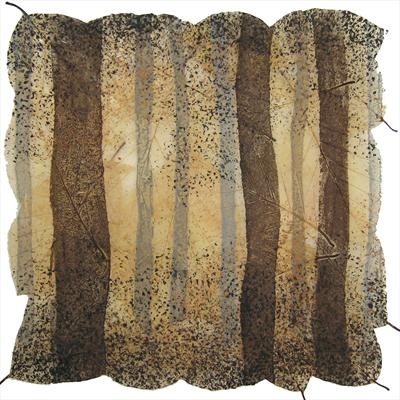 Today, Friday 20 September 2013, Artworks artist Helen Dougall will be demonstrating traditional and creative batik textile techniques in the Artworks exhibition demonstration area. Helen Dougall Batik: Everything it’s Cracked up to be! 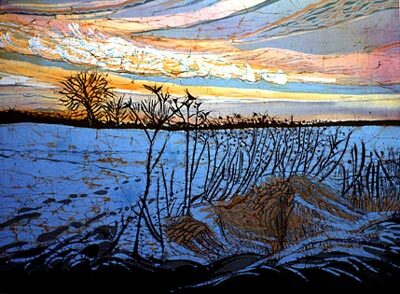 Read more about Helen’ Dougalls batik artwork on the Artworks website. The Artworks annual exhibition is a wonderful opportunity to see and buy new and original contemporary work by some of East Anglia’s most inspired and creative artists, all under one roof! Read more about the Artworks artists on our main website. The Artworks exhibition is open daily, 10am to 5pm, free exhibition catalogue, free admission, ample free parking, wheelchair accessible. 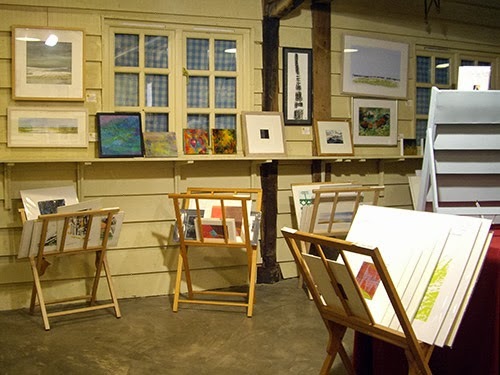 We also have the ever popular Artworks shop, which stocks small paintings, prints, unframed drawings, often straight from the artist’s studio, a good range of sculptural art including ceramics, metalwork, glass & papier mache, together with many handmade artist cards, assorted greetings cards and artist postcards. There is also our Artworks café selling light refreshments. 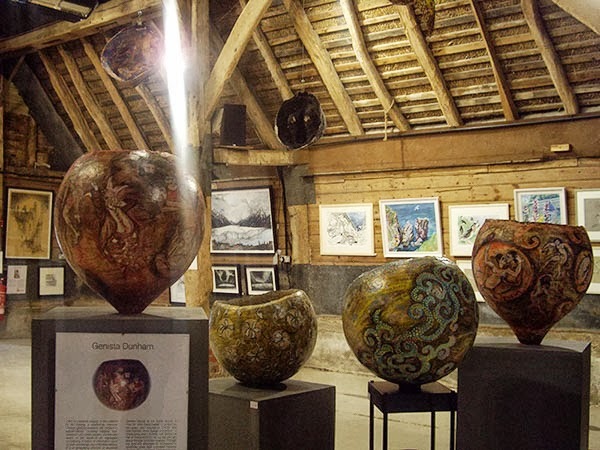 We look forward to welcoming you to Artworks 2013 at Blackthorpe Barn! 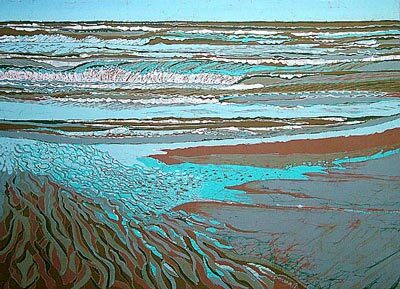 This entry was posted in artworks news and tagged artworks, batik, demonstrations, east anglia, exhibition, helen dougall, textiles on September 20, 2013 by admin. 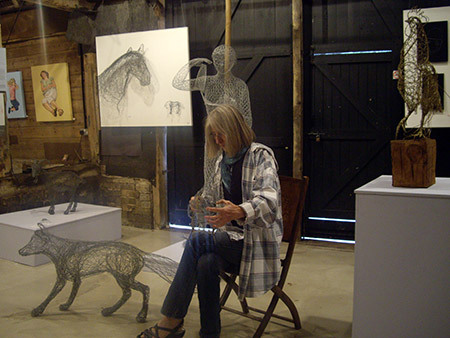 Today, Thursday 19 September 2013, Artworks artist Jenny Goater will once again be demonstrating creative wire sculpture techniques in the Artworks exhibition. 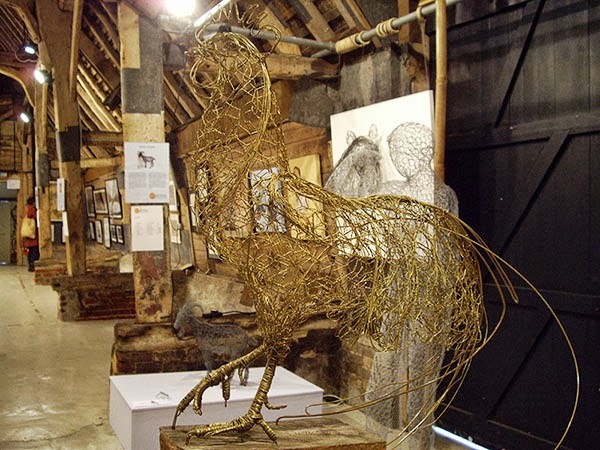 Jenny Goater will be working with wire in the gallery today from 10.15 am – 4.30 pm. 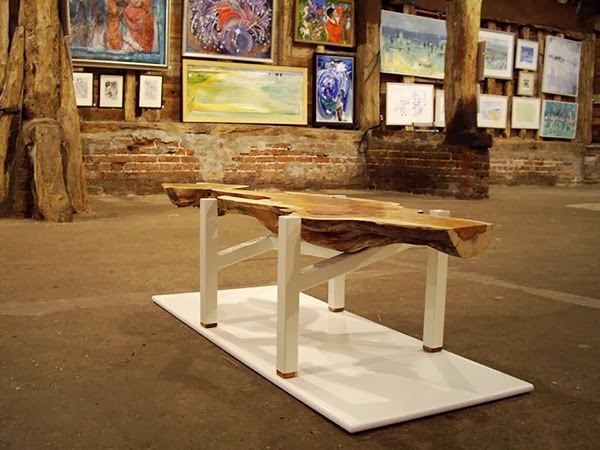 The Artworks annual exhibition is a wonderful opportunity to see and buy new and original contemporary work by some of East Anglia’s most inspired and creative artists, all under one roof! Read more about the Artworks artists here. We also have the extremely popular Artworks shop selling original prints, small paintings and drawings, collage and mixed media, 3D art including papier mache, ceramics, glass and metalwork, a wonderful selection of handmade cards, greetings cards and postcards. There is also the Artworks café selling light refreshments. We hope you will enjoy your visit to Artworks! This entry was posted in artworks news and tagged artworks, demonstrations, exhibition, jenny goater, sculpture, suffolk on September 19, 2013 by admin. More pictures from the ARTWORKS exhibition! 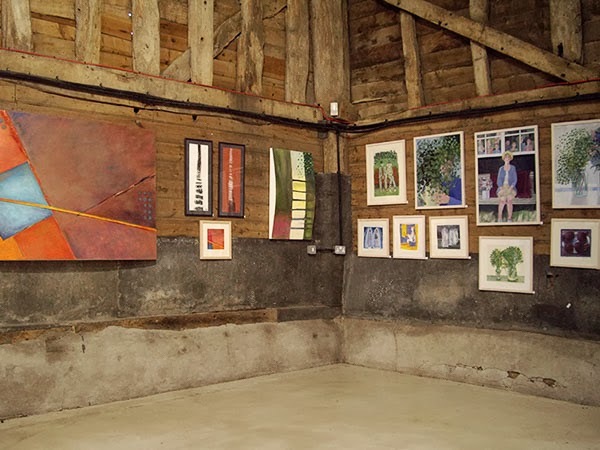 Another small taster of the Artworks exhibition at Blackthorpe Barn, three more pictures showing new works by Genista Dunham, Eileen Revett, Eleonora Knowland, Doug Patterson and Kit Price-Moss. 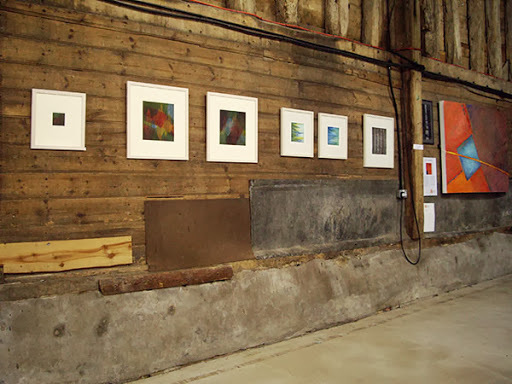 Vessels by Genista Dunham, prints by Eileen Revett, paintings by Eleonora Knowland. Stay tuned to the Artworks blog for more Artworks exhibition news and daily updates. 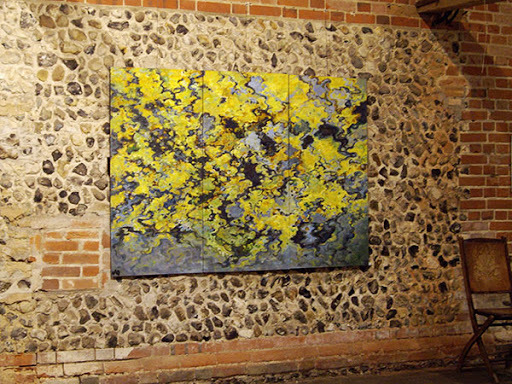 The Artworks annual exhibition is a wonderful opportunity to see and buy new and original contemporary work by thirty East Anglian artists, all under one roof. Read more about the Artworks artists here. The Artworks exhibition is open daily, 10am to 5pm, admission is free, ample parking, wheelchair accessible, free catalogue. 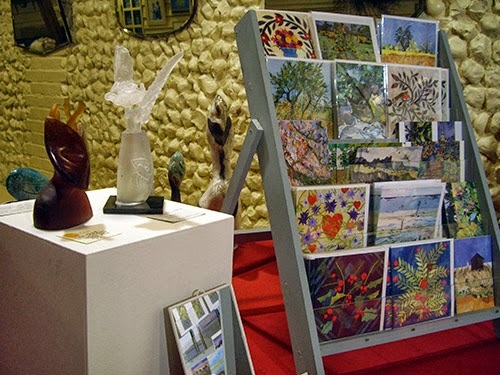 There is also the very popular Artworks shop which sells unframed works including small paintings, drawings and original prints on paper, collage and mixed media, sculptural 3D art including metalwork, ceramics and glass, and a wonderful range of handmade cards, greetings cards and artist postcards. There is also the Artworks café selling light refreshments. We hope you will enjoy your visit to Artworks in 2013! This entry was posted in artworks news and tagged artworks, doug patterson, eileen revett, eleonora knowland, genista dunham, kit price moss on September 18, 2013 by admin. 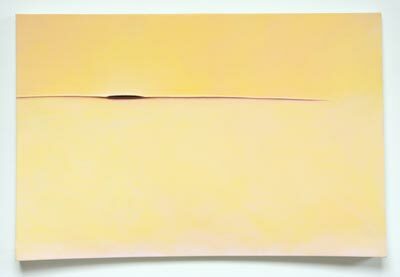 Artworks artist today is…Eleonora Knowland: sketch to painting! Today, Wednesday 18 September 2013, Artworks artist Eleonora Knowland will be demonstrating how she develops ideas from sketches into paintings in the Artworks exhibition. Eleonora Knowland develops her ideas from small sketches and drawings into much larger paintings, using colour, form and texture to express ideas and emotions about the landscape, as she says: it is ‘the the quality of dealing with ideas rather than events’, and this is the focus of my work. Read more about Eleonora Knowland’s paintings on the Artworks website. 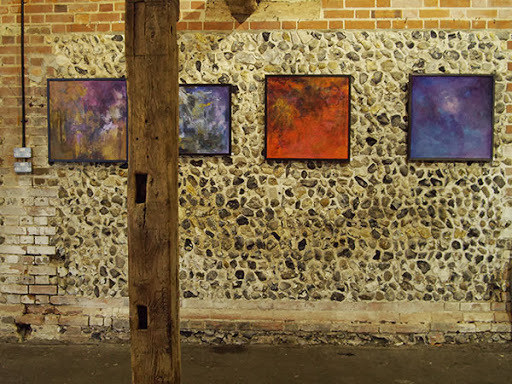 Eleonora Knowland will be painting in the main gallery today from 10.15 am – 4.30 pm. 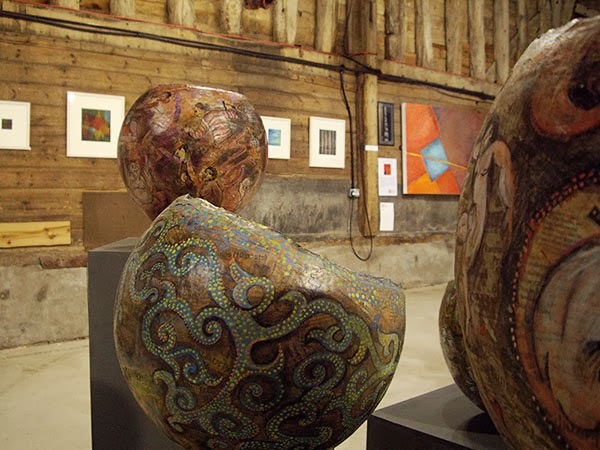 The Artworks annual exhibition is a wonderful opportunity to see and buy new and original contemporary work by some of East Anglia’s most inspired and creative artists under one roof. Read more about the Artworks artists. This entry was posted in artworks news and tagged abstract art, artworks, demonstrations, eleonora knowland, landscapes, paintings on September 18, 2013 by admin. Today at Artworks: Watercolour Trees with Katie Millard! 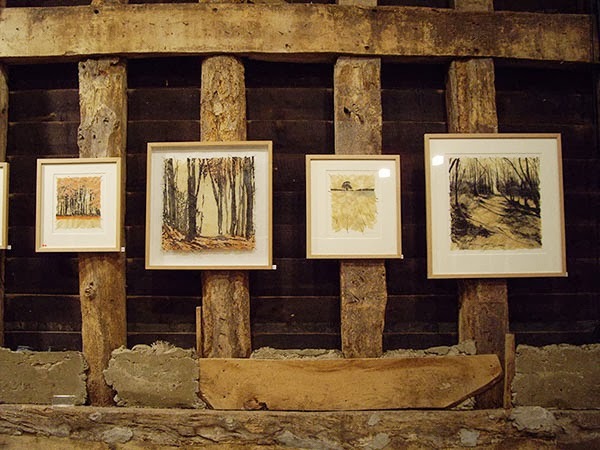 Today, Tuesday 17 September 2013, Artworks artist Katie Millard will be demonstrating creative watercolour techniques in the Artworks exhibition. Seeing the sand being lifted and swirling in the sky by the vagaries of the weather, fascinates me. Watching rain approaching and the way it affects the sea and the landscape I find awe inspiring. See Katie Millard demonstrating how to paint trees in watercolours, in the main gallery today, from 10.15 am – 4.30 pm. This entry was posted in artworks news and tagged artworks, blackthorpe barn, demonstrations, katie millard, landscapes, paintings, trees, watercolours on September 17, 2013 by admin.